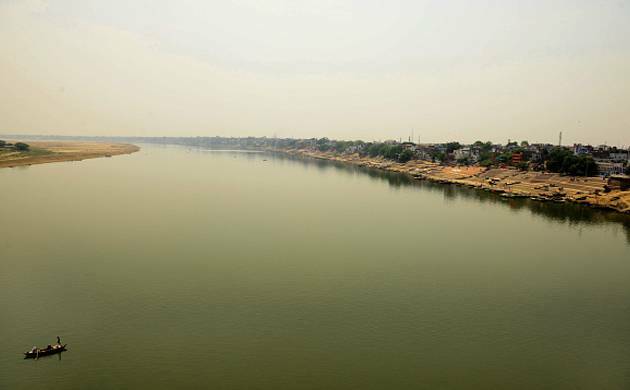 A committee, set up by the National GreenTribunal to collect information on drains joining Ganga between Haridwar and Unnao, was on Tuesday directed by the green panel to submit its report by November 7. A committee, set up by the National Green Tribunal to collect information on drains joining Ganga between Haridwar and Unnao, was on Tuesday directed by the green panel to submit its report by November 7. A bench headed by NGT Chairperson Justice Swatanter Kumar asked the committee, comprising Member Secretary of Central Pollution Control Board, Chief Engineer of UP Jal Nigam, senior most chief environmental officer of UP Pollution Control Board and representative from the Ministry of Water Resources, to submit its report within the stipulated period. NGT also said the report should give details of drains joining Ganga from the stretch Haridwar to Unnao and the quantum and quality of waste being released into the river. "The report shall contain details of all the drains and the rivers joining the river Ganga or its main tributaries in Segment (Haridwar to Unnao) which now will be from Haridwar City Border to Unnao. The points where industrial effluents and sewage is released into the river. "The quantum of industrial waste effluent and sewage that is being discharged into the river/drains. The existing Sewage Treatment Plants/Common Effluent Treatment Plants and whether they are functional or not and if they are functional whether they are capable of treating the various pollutants of industrial effluent, sewage and coliform," the bench said. The matter is listed for next hearing on November 15. The green panel has divided the work of cleaning the river in different segments -- Gomukh to Haridwar (Phase-I), Haridwar to Unnao (termed as segment B of Phase-I), Unnao to border of Uttar Pradesh, border of Uttar Pradesh to border of Jharkhand and border of Jharkhand to Bay of Bengal. The tribunal had earlier said ill-planning and unscientific approach by the authorities has to led to the chaotic condition faced by the Ganga. The tribunal had also rapped UP government for wasting crores of rupees of public money on Ganga rejuvenation and restrained it from spending on any major project except maintenance work on the stretch from Haridwar to Kanpur. The NGT had passed the order after CPCB and state authorities including UP Jal Nigam failed to give details like the total number of industrial units and the quantum of industrial waste discharged by them into Ganga. Last year, the tribunal had imposed a complete ban on use of plastic of any kind from Gomukh to Haridwar along the river from February 1 and decided to slap a penalty of Rs 5,000 per day on erring hotels, dharamsalas and ashrams spewing waste.